It’s no secret that I am a lover of the short story format. The more anthologies and print mags and online mags there are featuring flash fiction, short stories and novellas, the better. So when a Kickstarter for an anthology or magazine comes to my attention, I not only contribute, I invite the people involved to talk about it here. 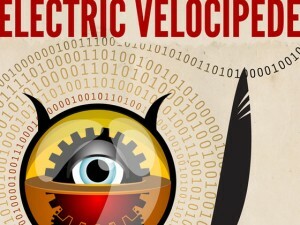 Today’s interview is with ELECTRIC VELOCIPEDE editor and publisher John Klima. In addition to founding and publishing EV, John has also edited the anthologies LOGORRHEA and HAPPILY EVER AFTER. ANTHONY: Tell me a little bit about the history of Electric Velocipede and where things stand now. 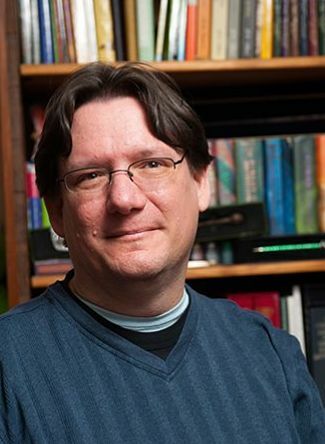 JOHN: I founded Electric Velocipede in 2001 after I left publishing as my full-time job to become a computer programmer. I missed publishing almost immediately but got some inspiration from Gavin Grant of Small Beer Press to start my own zine. We’ve published two issues a year, with the occasional double issue thrown in. In 2009 we won the Hugo Award for Best Fanzine; we also received four nominations for the World Fantasy Award. We partnered with Night Shade Books in 2009, but dissolved the partnership at the end of 2010. In 2011 we moved online with issue #23. We’re currently getting issue #24 online and plan on getting out #25 before the year ends. Beyond that, we don’t have any fiction in reserve and will need to re-open to submissions in order to put together more issues. ANTHONY: What can readers expect in EV going forward after the Kickstarter? JOHN: If the Kickstarter succeeds, we’ll have the funding to put out four issues in 2013. We’ve published a range of writers from new to established, including people like Jeffrey Ford, Catherynne M. Valente, Jeff VanderMeer, Genevieve Valentine, Ken Liu, Aliette de Bodard, and more. As I said above, we’ll get out issue #25 at the end of this year and start putting together issues for next year. ANTHONY: What is EV’s policy on open submissions from authors? JOHN: We take submissions from anyone. We’re currently closed to submission however. JOHN: I’m using Kickstarter instead of raising the money solely on my own. It was the service I knew beforehand from backing a few projects and was comfortable using. It wasn’t until after I had myself set up on Kickstarter that I realized there were other tools available. If we find ourselves in need of fundraising in the future I’ll certainly investigate all my options. ANTHONY: What are some of the perks people can receive for backing the Kickstarter? JOHN: We’ve got some basic perks like an electronic copy for your e-reader of choice of issue #25 and a four-issue subscription, but we also have a few fun things available. We have a cool t-shirt (there are photos on the Kickstarter) in men’s and women’s sizes that people can get along with a four-issue subscription at the $50 level; there’s a $45 level for a custom mouse pad and four-issue subscription; at $100 you get a 2013 calendar using Thom Davidsohn’s amazing cover art and a four-issue subscription. There’s also baked goodies (I do a lot of baking in our house), editorial services, and more. ANTHONY: How has the Kickstarter been going so far? JOHN: We’re at 85% funding with more than two weeks to go. It’s been going well. ANTHONY: What other projects are you working on in addition to editing and publishing EV? JOHN: My agent and I are finalizing a few anthology ideas and I’m working on the first book of a YA series. I have a book I’m putting together for the American Library Association, and I’m generally doing too many things at once at my job as an assistant director at a large public library. Somewhere in there I find time for my wife and two kids. Interested in helping support a great genre short fiction market put out another year’s worth of issues? Follow this link to the Electric Velocipede Kickstarter … and remember, the more they raise beyond their $5,000 goal, the more they can do! And of course you can visit the magazine itself to see what all the fuss is about: Electric Velocipede. You can follow John on Twitter: @johnklima and the magazine too: @EV_Mag. This is the start of a week of posts related to various Kickstarter projects I’ve backed and hope you will too. None of them are my own (currently, I’ve got nothing I think I should be doing a Kickstarter for), but all of these are important to me for one reason or another. Some of them are projects of friends. Some of them are just projects I think are cool. Most of them are both. Today, I’m spotlighting Lea Hernandez’ soon-to-conclude project to fund her next graphic novel, THE GARLICKS. Lea is a 25-year veteran of the comics field, has worked for DC and Marvel and has produced five graphic novels before now. I’m going past tapping 4 people who haven’t pledged (as Lea requests below). I’m reaching out to everyone who reads my Facebook, Twitter and this here little blog. If each of you donated $25, you’d get a really cool set of stuff, and you’d help a single mother of two teenagers have a year’s worth of security to pay the bills and finish a fantastic project. So please consider helping out. Everyone who’s pledged, PLEASE tap FOUR people who haven’t backed THE GARLICKS and encourage them to pledge at least $25. (That gets them a signed and sketched in book, a PDF, a sticker, and their name in the book.) That will generate $29,600** in funding, which puts us past goal. Tell your friends who like Twilight, My Little Pony, want their kids to read more, like vampires, like genre fiction, like manga, parents you know who wonder where the good genre comics for kids are, or people who want to feel good about supporting a single parent entrepreneur. Please post about THE GARLICKS to Facebook, Twitter, email lists, your blog(s), Tumblr, etc.Tell people THE GARLICKS needs their help to reach its funding goal. If you’ve got a Big Name pal you can nudge to support THE GARLICKS with a Tweet, Facebook or blog entry, please do. If you’ve got an in at a site like The Mary Sue (who already covered TG, THANK YOU, GALS) or BoingBoing.net, please tell them about THE GARLICKS. I’ll still be doing my P.T. Barnum thing, too. Know what else? It’d be COOL to get THE GARLICKS Kickstarter across the finish line in four days. You can say, “I WAS THERE!” You will all be badass Fishbats. LET’S DO IT! I want to start drawing THE GARLICKS, already! *I’m not kidding. I will eat a bug. I get to choose the bug, and I will not CHEW the bug, but I will eat one. **The math: Backers so far: 296. If each of you gets four friends to pledge, we have 1,184 more backers. Get each of them to pledge $25., that’s $29,600. Over the summer months I’ll be welcoming the teenagers involved in The Shoe Crew to guest-blog about what they’re doing to benefit a very special pair of charities, SHOES THAT FIT and A PLACE CALLED HOME.” The Crew is a group of really great kids including Justin and Kayla Tinucci, Taylor Hay and about 10 other kids. Some of them I’ve interviewed before, including today’s guest Sam Lant. The guest blogs will be sprinkled throughout the coming months, as The Shoe Crew efforts build towards the end of the summer. Instead of an interview, I asked my young friend Sam Lant to write a guest post about his involvement in the charity project: Shoes That Fit. So I’ll shut up now and let Sam tell you all about it. Take it away, Sam! Thanks for letting me share the limelight with you for just a few moments – what an honor to be asked to guest post on your site to share about our BIG SUMMER CHARITY PROJECT. As you know, we are fresh off the Ronald McDonald House Walk For Kids in which our team “THOSE CRAZY KIDS NEXT DOOR” raise $8,369 for Pasadena Ronald McDonald House. Since the walk for kids doesn’t come around again until next April, we are looking for something to keep us busy through the summer. So, here is the deal. A bunch of us kids, with help from our parents, are doing a huge charity project for Shoes That Fit. This organization receives no government funding and relies entirely upon private donations from individuals, businesses and foundations. Their mission is to provide brand new athletic shoes to children in need so that they can go to school in comfort and with dignity, better prepared to learn and play. They have shown that giving kids a new pair of shoes helps raise self esteem which in turn boosts grade scores. It is amazing what a new pair of shoes can do. I learned about the organization SHOES THAT FIT when I attended their SNEAKER BALL last month as a celebrity guest. My mom always has me research the events I attend so that I know why I am going and who it helps. My 16th birthday was coming up and I had been looking for a charity that could benefit from the gifts I was about to receive, while I don’t have much – there are people out there in this world who have much less. I have the important things in life… a roof over my head, food in my belly, a warm place to sleep and my X-Box. I immediately knew that this was the charity I wanted to help. My mom contacted the head of the organization and asked what we would need to do to set up an event to benefit their charity. From there the ball just got rolling. I thought it would be cool to have everyone bring a new pair of Athletic shoes in lieu of gifts for myself. Since I am inviting 200 teen actors, musicains and athletes to my birthday, I knew we could really go a long way toward filling up the warehouse in time for back to school in August. My mom has been working hard gathering donations and sponsors. We are holding my birthday in a 3000 sq foot warehouse partially donated by E World Media, DJ Young Slade (son of Lil Jon) will be entertaining the guests with some of the hottest dance music, and Chick-Fil-A has kindly donated the food. We also have donations coming in for SWAG BAGS which we will give every guest who donates a pair of shoes for the chairty. But, I have bigger plans. I started a campaign on Indiegogo to help raise money so that I can purchase even more shoes to donate. You can check it out here….www.indiegogo.com/shoesthatfit I want to raise $5000 which I will then use to purchase shoes in the sizes most needed by the organization – you know those size 13 basketball shoes and the sizes that go the quickest because they are in high demand. It seems about the same time that my mom and I were working out the details for my birthday, Justin and Kayla Tinucci, along with their mom, had an idea of their own. Something bigger than what I had in mind. A summer project involving many teen and child actors (and parents) who were also looking for a way to give back to their community. Thus started “THE SHOE CREW.” We will be making a difference STEP BY STEP through the summer – not by throwing one big bash but by having each family host a smaller event which will lead up to THE SNEAKER BALL GRAND CELEBRATION August 18th. So, WHO IS THE SHOE CREW???? Well, of course, Justin and Kayla Tinucci, myself (Sam Lant), as well as Saige Ryan Campbell, Dustynn and Ethynn Cerney, Sean Ryan Fox and his sister Camryn Molnar, Taylor Hay, Bryce Hitchcock, Abi Ann Hoffman, Merrit Leighton and her sister Marlowe Peyton, Malyssa Martinez, Garrett Palmer, Jason and Mark Rinkel, and rounding it out – Gabriel and Hannah Welch. 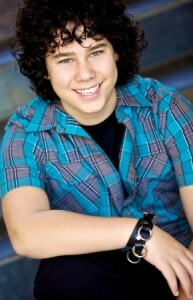 We also have Dylan Riley Snyder from Disney Channel’s “Kickin-it” helping on our celebrity crew team. There are other teens/kids that will be joining in a long the way but these are the key SHOE CREW team members. Each family is in charge of hosting a different event where the entry to get in will be a new pair of athletic shoes or a monetary donation that we can use to buy the most needed sizes. Along with helping their parents plan their individual events the kids also have a bigger long term job which they will be in charge of all summer. Jobs such as: set-up team, t-shirt sales, social media outreach, inventory, web design, video team, team communications and red carpet stylist. Thanks for letting me come hang with you for the day. This was fun. We will end this in your usual fashion…. so Mr. Cardno – What is your favorite Book? See ya in the movies.